I hope you are enjoying the Christmas video quotes and that the next quote will help get you in the mood for the festive season, if you observe and celebrate it. Again please enjoy and I hope that you have the best time that you can, with those that you love. 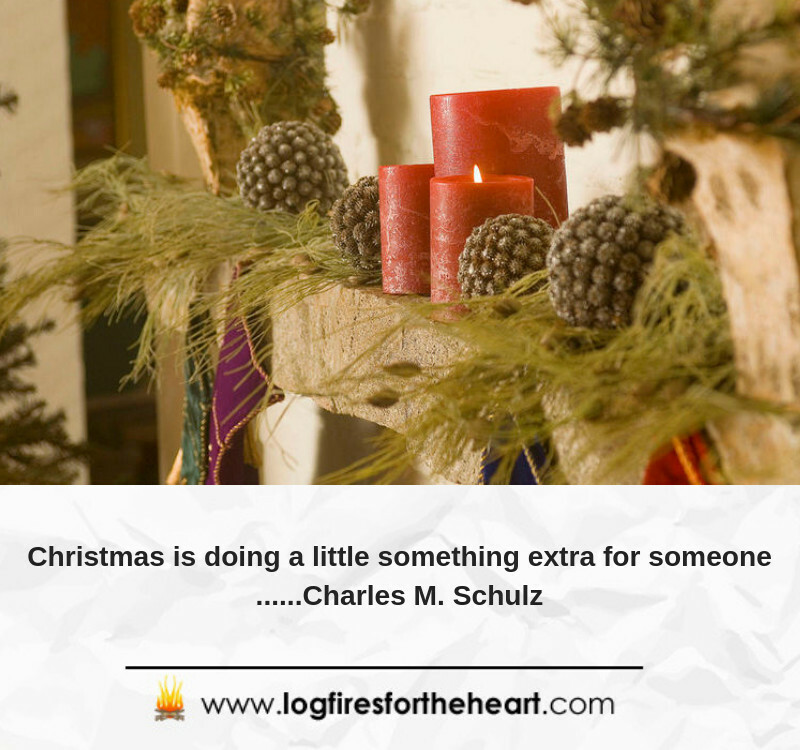 With regards to the quote, I think most of us benefit from giving of our time or our money to those that are in need, whether it be pets or those less fortunate than ourselves. We feel generally always better in ourselves and isn’t that a feeling worth pursuing. Take care of yourselves. Charles Monroe Schulz: He was a famous American cartoonist, who was born in Minneapolis in the USA. He was best known for the comic strip Peanuts, which featured the characters Snoopy and Charlie Brown. He was also regarded as one of the most influential cartoonists of all time. There will be another Christmas video coming soon, so keep a look out for it. This is a really lovely quote and captures the spirit of Christmas really well. Often people ask me, what’s your favourite tie about Christmas, and my reply is the presents. But not receiving them, I absolutely love giving presents to people who I am close with. I often try and put a lot of thought into the gifts I buy so that they are meaningful and sentimental. That’s probably why I love giving them so much. Thank you for your value post. You seem to have the spirit of Christmas down pat. I remember Peanuts by Charles Schulze! Very funny… I spent hours reading about Peanuts adventures. Christmas is a time of family get togethers and soup kitchens for the homeless. Plenty of Carol singing and Christmas trees. Looking forward to seeing more from you.. Thank you for your lovely post, especially – ” Log fires included…To keep our toes warm…”. Well done on “soup kitchens for the homeless.” I appreciate people, that make the world kinder and don’t foreget the less fortunate. Thank you for this little seasonal, uplifting message. It was nice to take it in, as a brief ‘moment out of time’, from my current online chores. Did you do the video yourself? It truly is a kind gesture to go to this extent, coupled with a brief history lesson, to give to your website visitors. Thank you for taking the time to post, because I know that peoples time is valuable, especially at this time of year. Thank you for the seasons greetings and I hope that the video brought a smile to your face. Yes, I made the video myself. Glad that you enjoyed the video and that it got you in the Christmas mood. I have tested the video and the post and it is based on my one minute videos, which people do like. People today just don’t have the time and this is the reason for the length. As I said to John above, please click here and it will give you all the relevant information you need regarding Charles Schulz. Back for another Christmas quote off you to lighten the load of my day – I look forward to these daily visits and the quotes they provide! I’m looking at the name Charles Schulz and I can’t help feeling I recognise it – was he the cartoonist guy behind the popular Snoopy the dog and Peanuts series? Glad you are enjoying the quotes and good to see you returning. With regard to Charles Schulz, please click here and it will give you all the relevant information you need. Christmas is my favorite time of year as I know it is for many others. 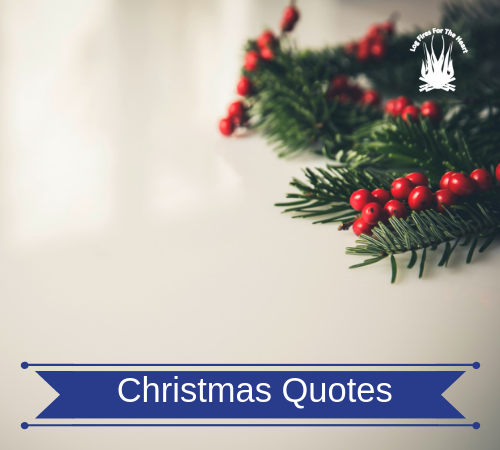 Some Christmas quotes have been around for hundreds of years while many new ones come around on a yearly basis. Its nice to see a website like this. Its something I can show my wife of 30 years and re live many Christmases of the past. Thank you for kind post. I appreciate it very much because it makes all the hard work worthwhile. The website was set up to give some positive inspiration in a world that seems very scary and fractured at the moment. If it can bring a smile to someone’s day, especially around this time of year, then it has made my day.